Cool down with a watermelon rita cocktail! 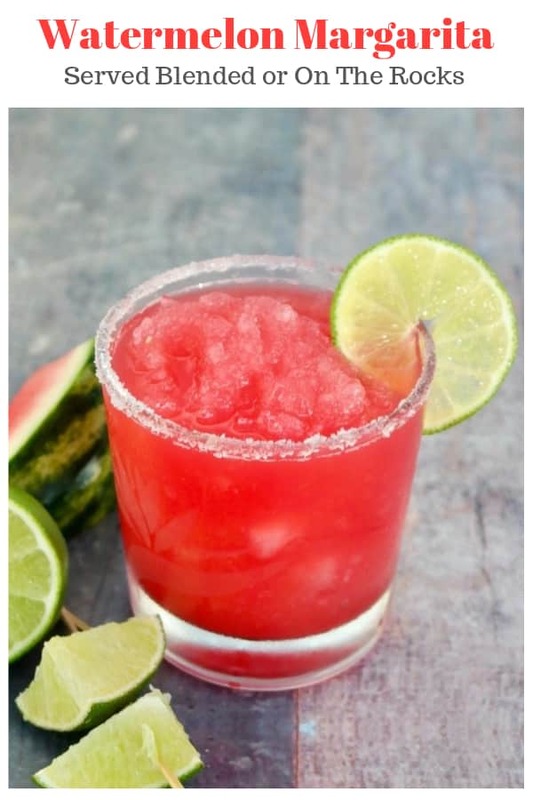 Serve this delicious watermelon margarita on the rocks or freeze the watermelon chunks and blend it up! Lately I’ve been pretty boring in the cocktail department. The last adult beverage I shared was this low sugar margarita. That drink is delicious and easy, but it’s time for something NEW! 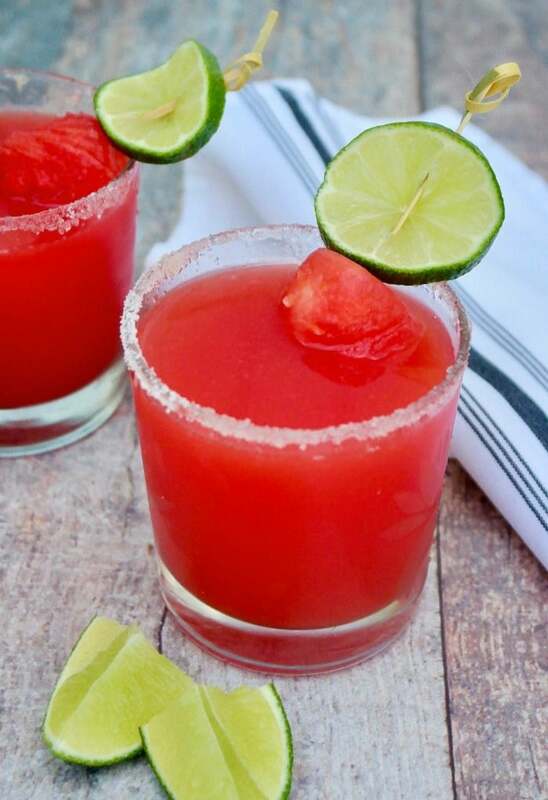 Just in time for summer-time shenanigans I’m sharing this delicious watermelon margarita that can be served on the rocks or blended! I also serve this cocktail without any ice, just shaken. This way your drink doesn’t taste watered down. On the other hand, if you prefer blended margaritas, then I suggest freezing the watermelon to get that slushy consistency instead of using ice. So first, decide which way you want to serve these drinks. 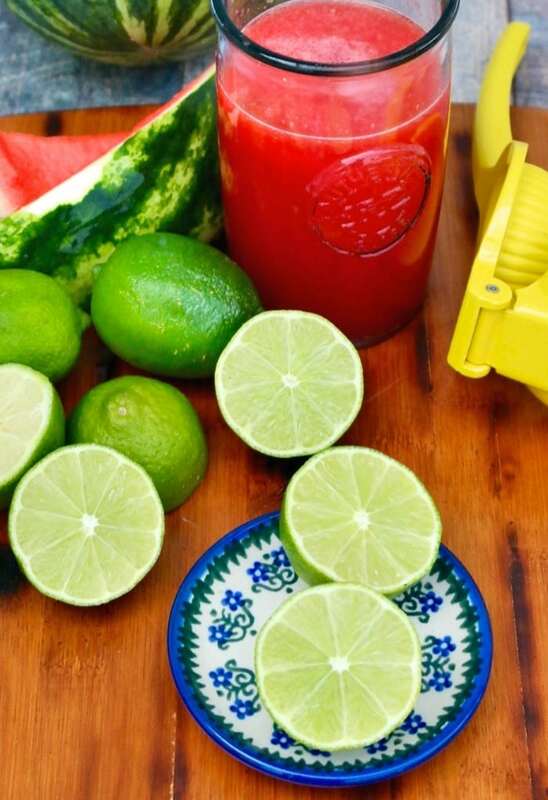 If you decide to whip up a frozen margarita, then you need to cut up the watermelon and freeze the chunks for several hours, so prepare in advance. If you are impatient like I tend to be, then prepare your watermelon by chopping the flesh in chunks and blend it to liquify. Note that even though I suggest seedless watermelon in the recipe card, you may still get some white translucent baby seeds in your watermelon. 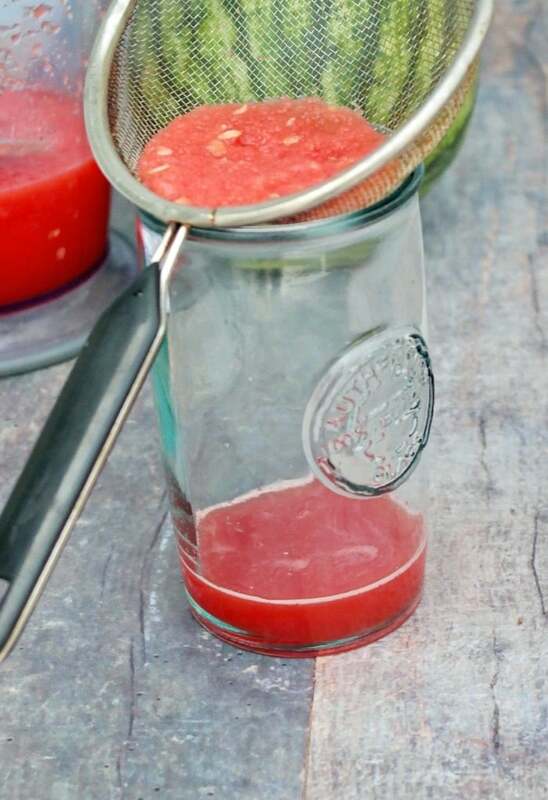 Once the watermelon is blended you can strain it to catch those baby seeds. 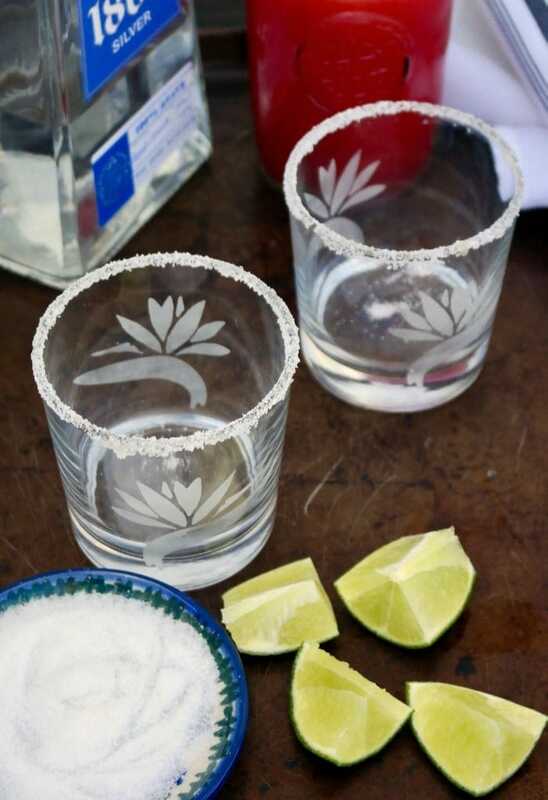 Next, prepare the glasses by slicing a piece of lime and running it along the rim of the glass. Then turn the glass onto either salt or sugar granules, depending on your preference. We like both options. In fact, when undecided we’ll do a mix of both salt and sugar! This recipe calls for sweetened lime juice like Rose’s, which can be found in grocery stores in the liquor section. I prefer to make my own since it’s super, duper easy! All you need is simple syrup (a combination of sugar and water) and fresh lime juice. I keep simple syrup in my refrigerator, so all I just need to squeeze some lime juice. 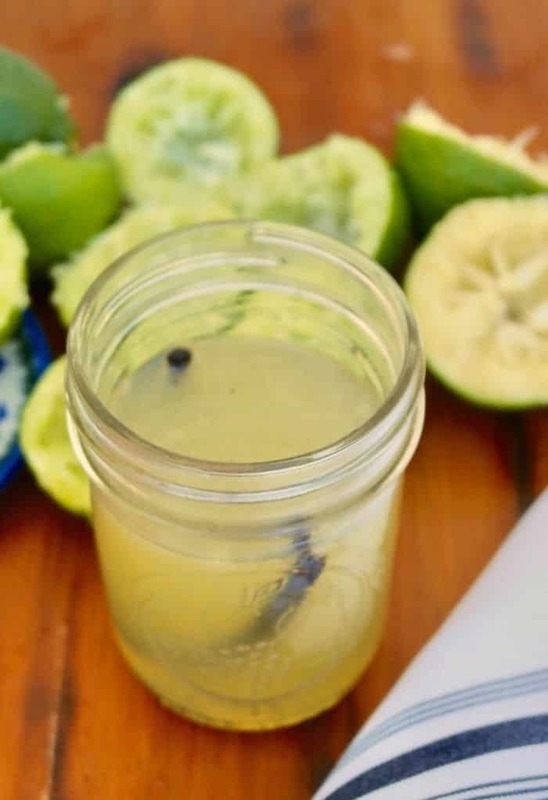 To make your own homemade sweetened lime juice simmer 1 cup of water with 1 cup of sugar until it dissolves, then add 1 1/3 cups of lime juice. 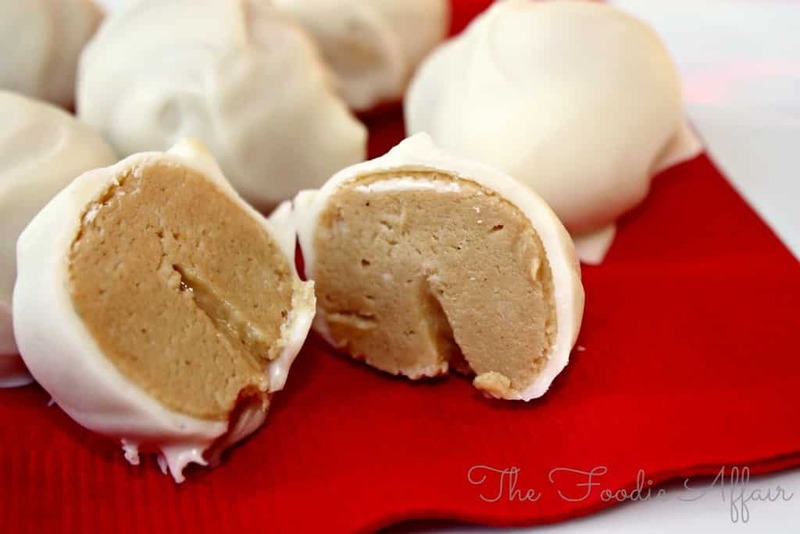 This makes close to two cups, so you’ll have plenty for several happy hour occasions! I store my simple syrup with a vanilla pod, which is what you see in my jar. I was at the end of my mix, so I just added the lime juice and gently shook the ingredients together. 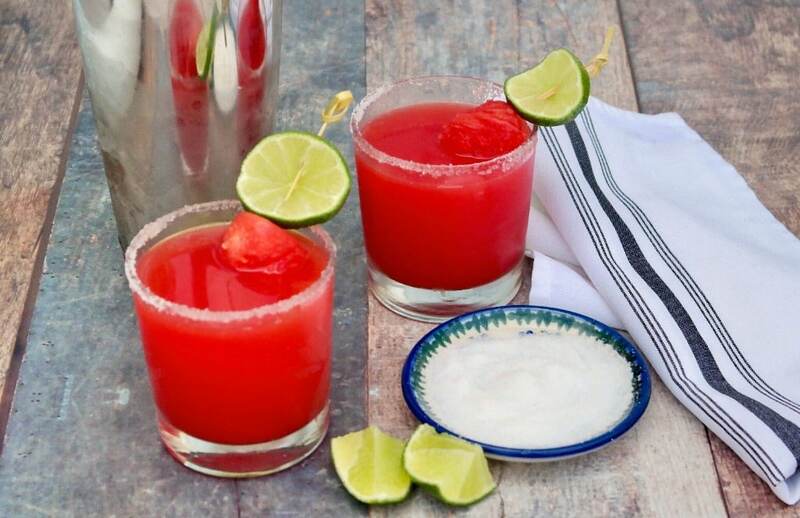 Now you’re all set for some delicious watermelon ritas! Yeah, after the first one you will start dropping the marga for the ‘ritas, especially if you top each drink with an extra splash of tequila. Now that we have the drinks all set, let’s add some munchies! Whether you blend up, shake up, or enjoy watermelon rita on the rocks, kick up your feet and savor every refreshing sip! Cheers, friends! 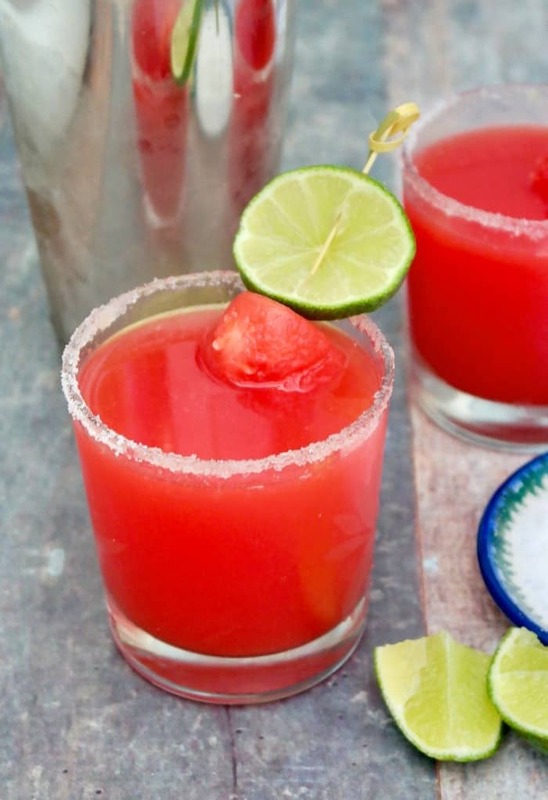 This delicious watermelon rita can be served on the rocks or blended. All fresh ingredients are used in this recipe for the most refreshing cocktail. In a blender put 1 cup of the chunks and liquefy. Run a wedge of lime around the rim of a glass and dip in salt or sugar. Shake vigorously in a martini shaker and pour into prepared glass.Garnish with lime. 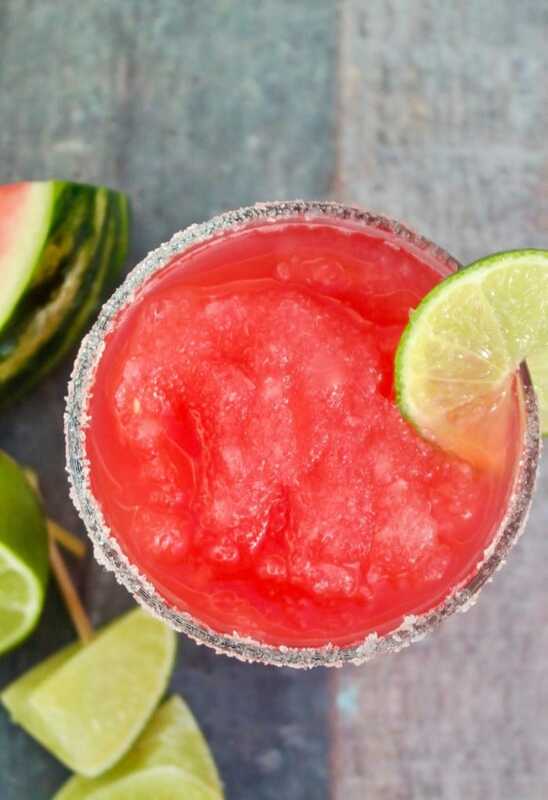 For a blended watermelon margarita cut watermelon in chunks and freeze on baking sheet OR add 1 1/2 cups of ice to the blender with the listed ingredients. Sweetened lime juice can be purchased at the grocery store in the liquor section. Make your own by combining 1 cup of water, 1 cup of sweetener (sugar or sugar alternative) in a small sauce pan and heat until sugar dissolves. Remove from heat and mix in 1 1/3 cups fresh lime juice. Cool and store in the refrigerator. Is it so very wrong that at 9:00 on Sunday morning that I want one of these? Now. What a perfect summertime beverage; you definitely rocked this one, Sandra! 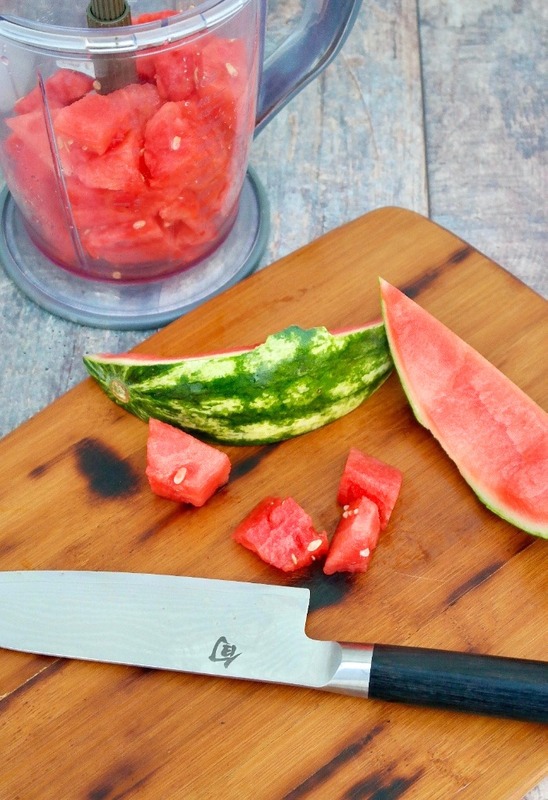 What a great tip to freeze the watermelon instead of using ice! Now to go get some watermelon to put that great tip to good use! I need this margarita in my life now! This would be so perfect for today as the real feel is supposed to be 102 degrees! This sounds really great!! Kinda wish I was drinking one of these right now instead of my morning coffee, ha! Love these margaritas in the summertime! These margaritas are PERFECT for the 4th of July!! Thanks for the great recipe .. I will be toasting you! Perfect summer cocktail! On the rocks is easy peasy…coming up! I am a margarita gal so this sings to me 🙂 I love it!! !